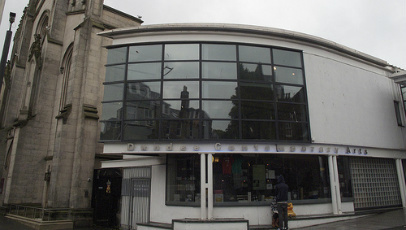 Dundee Contemporary Arts, DCA for short, is Dundee’s leading multi-purpose arts venue. Located in the heart of the city, avoiding competition from the two multiplexes (Cineworld and Odeon) set up at either end of the city’s Kingsway bypass, DCA comprises of an exhibition gallery, print studio, restaurant and relaxing cafe/bar area. What makes DCA so special, though, is its two-screen cinema. Dedicated to showcasing a mix of films, from old to new and blockbusters to independent features, DCA do what they do with passion, determination and a kindness seldom displayed by the money-making multiplex chains. You only have to pick up a copy of their cinema guide (the latest of which is pictured below) to see how diverse a selection of films they offer. Over the next two months alone – often dubbed as the dumping ground for weak films – there’s a host of films to look forward to, not least Steven Spielberg’s War Horse (January 27 – February 9), Alexander Payne’s The Descendants (February 3 – February 16), Madonna’s W.E. (February 10 – February 16) and Sean Durkin’s Martha Marcy May Marlene (February 17 – February 23). Success, however, hasn’t come easy for DCA. Not only have they battled criticism aimed at their often independent centric film programme, but they also have the difficulty of finding an audience in the first place. Thanks, then, to the sheer hard work and determination demonstrated by Head of Cinema Alice Black and a team of hard-working ushers, box office assistants and other, equally skilled employees, along with keen support from publications such as The Skinny and The List, and the advocacy from a few choice local residents and bloggers (myself included), DCA have battled long and hard to establish themselves as one of Scotland’s finest independent cinema houses, and they show no sign of slowing down. Not only was 2011 one of their best years in terms of cinema attendance and profit revenue, but it also saw them establish a successful horror film festival, Dundead. On top of all this, they won a collaborative award – shared with the excellent Edinburgh Filmhouse and Glasgow Film Theatre – for the Discovery Film Festival. This was a well-deserved recognition of the Festival’s fantastic work in introducing young audiences to international film, all the while improving their media literacy skills and overall cinematic knowledge. What, in your eyes, have been some of DCA’s greatest successes? The continued growth of Discovery, Scotland’s International Film Festival for young audiences, is one of our greatest achievements. Not only is this event now a fixture in the school calendar (every year for three weeks in October), but it has played an important role in making cinema part of the education agenda. Young people who first came to see our Shorts For Wee Ones as very small children and are now coming back to see our Teen programme – proof that we’ve made a step towards building audiences for international cinema in the future! In terms of the daily programme, a lot of our success comes from work that we’ve done behind the scenes like investing in our exhibition technology (digital projection, 3D, satellite) to make sure we can offer Dundonians everything that is available to audiences in a larger city. Unlike a lot of commercial cinemas, we also continue to train and grow our technical team to ensure our level of presentation is always of the highest standard. Are you proud of what you’ve achieved in your time as cinema head? Watching audiences grow for the DCA Cinema has been one of the most satisfying experiences of my whole career. We’ve introduced new programming strands which have brought new audiences through our doors but also reconnected with customers who were loyal supporters from the beginning and had gotten out of the habit of coming regularly. Our RED card scheme (a points-based loyalty system) tells us that in the past three years, DCA customers have started coming back to the cinema with greater frequency and have started taking greater risks with their film choices. As a programmer, I feel connected to each and every single film that I chose and to see an audience connect with those films in larger numbers is a wonderful feeling. How do you deal with the criticism without letting it affect what you do? Film is such a subjective artform – one person’s trash is someone else’s treasure – that it is impossible to please everyone all the time. I try to programme as broad a range of films as I can while always remaining true to what I’ve been asked to do here, which is to bring the best of international cinema to a local audience. The only thing that frustrates me occasionally is that a lack of knowledge about how film distribution works can sometimes mean that people will make judgements without having all the facts to hand. But feedback, both good and bad, is always welcome. It is the best way to remain relavent and vital to a local audience. Where would you like to see DCA in five years time? I would be thrilled if in five year’s time our cinemas were buzzing with customers of all ages who were as engaged and excited by international cinema as I am. That might sound like a simple goal but it takes a whole group of people working very hard and with a lot of energy and enthusiasm to make that happen. Luckily, the cinema team are exactly that, so I’ve no doubts we can achieve what we set out to do! 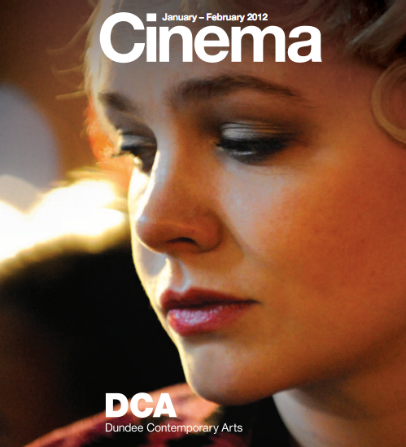 To find out more about DCA, whether it be opening hours, cinema times, pricing details or potential career opportunities, head over to their website or pick up the latest cinema guide.